There are many roadblocks to building affordable homes. And by affordable, I mean that no matter what your job is, a home is something that you can afford. Whether you are a teacher, a nurse, fireman, sanitation engineer, EMT, military or working in another job serving the public, you should be able to live near where you work, in a safe area, in a home that you are proud to go home to. Unfortunately, this is getting harder and harder to do. And, it isn’t because developers and builders are greedy. It is the perfect storm. Land prices have increased exponentially. Finding affordable land has become a treasure hunt in most metro areas as the distressed lots are gone. What people who aren’t in the industry don’t understand is that there is a direct relationship between the cost of the land and the cost of the final home. If the home site (lot) is a $100,000 lot, it isn’t going to have a $100,000 home on it. The industry standard ratio has historically been 5:1, so a $100,000 lot will most likely have a $500,000 home on it. Lumber and steel tariffs have driven the cost of building materials up. Although the lumber tariff has eased some, at its height, lumber prices were adding about $30,000 to the average home. Labor is hard to find and expensive when you do find a framing crew or other necessary subcontractor. Demand is high, and so are prices for labor. The fact is, we don’t have enough trained, skilled labor in the construction industry. This is something that many different organizations, including the NAHB and HBI are working on to resolve, but it is going to take adding vo-tech back in high schools and other initiatives to find a long-term solution. Government regulations have impacted many builders and potential homeowners. A recently enacted school tariff in York County, South Carolina has added more than $18,000 to the price of a new home. This increase prices many entry level buyers, first responders and others working to serve our community, out of the market. As an industry, we need to work together with communities to overcome obstacles to affordable housing. 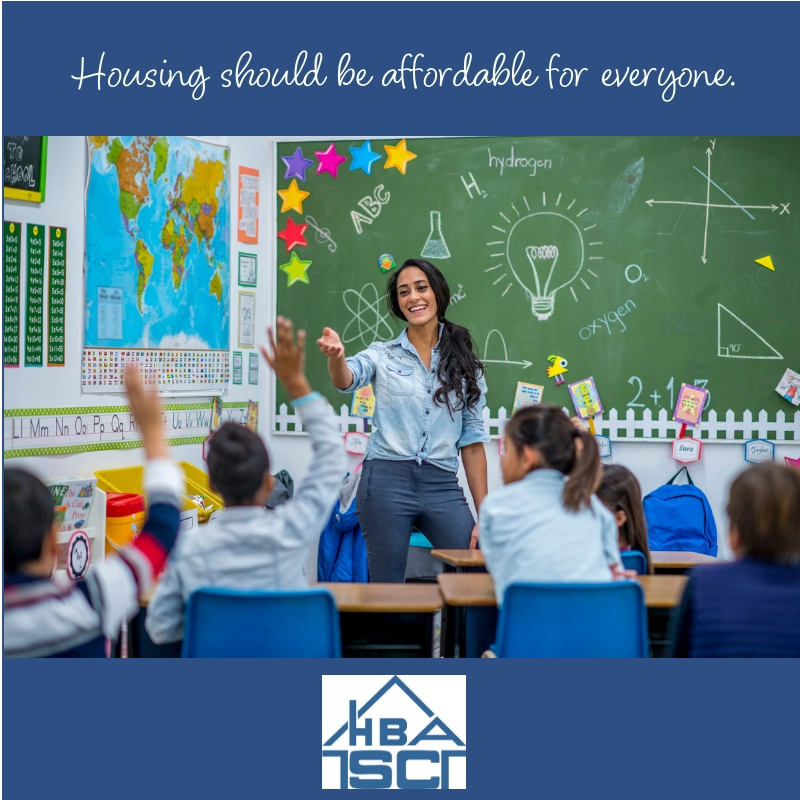 The Home Builders Association of South Carolina is advocating for affordability and working to educate the community on how to become involved and work together on the issues at hand. As part of this educational process, the HBA of SC hired Denim Marketing to create a public relations and social media campaign targeted on awareness. Two different series of posts focus on who is affected when homes become too expensive. 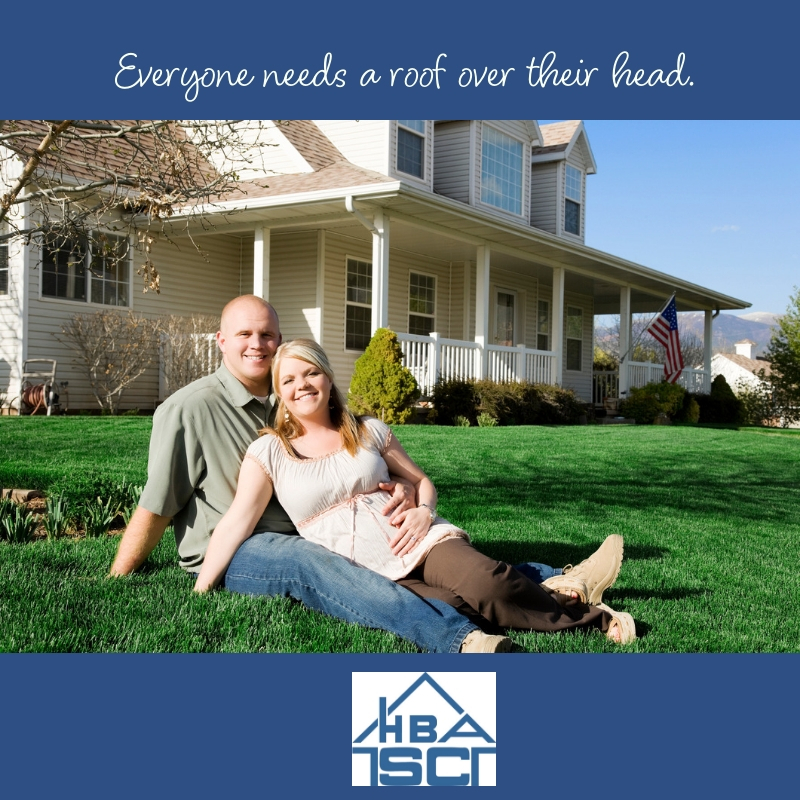 “Everyone needs a roof over their head” spotlights homeowners at different stages of life, including a single female buyer, young couple, retired couple and everyone in between. 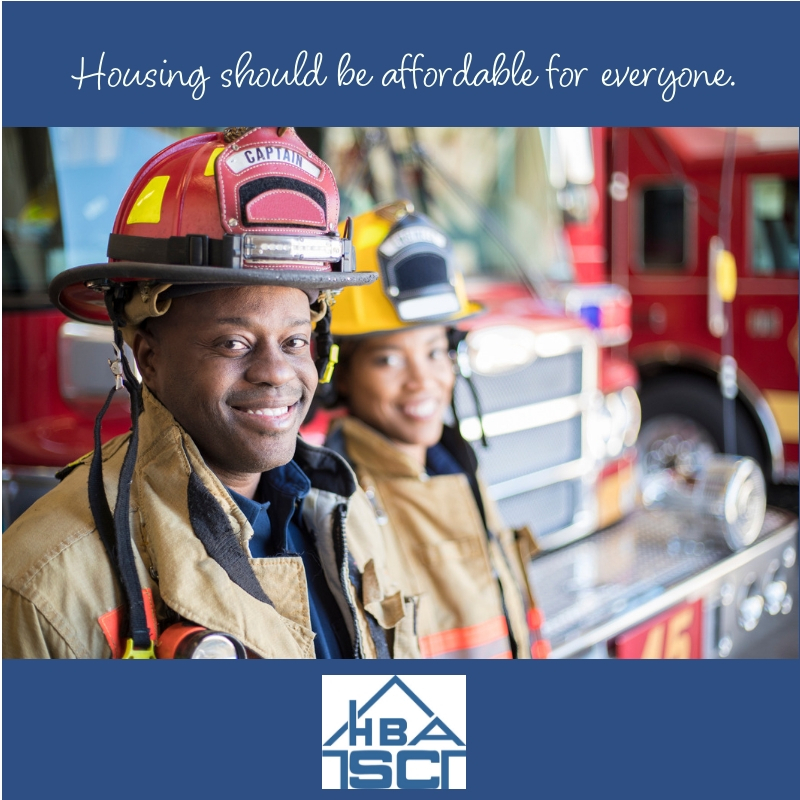 “Housing should be affordable” focuses on all of the people who serve the local community, from firefighters and teachers to delivery drivers and military. Denim Marketing is invested in housing and real estate. If you need help with an advocacy issue, contact us. We’d love to help educate your audience about the issues facing housing.